Italian design classic. Official authorized version, produced by Tecno Italy. 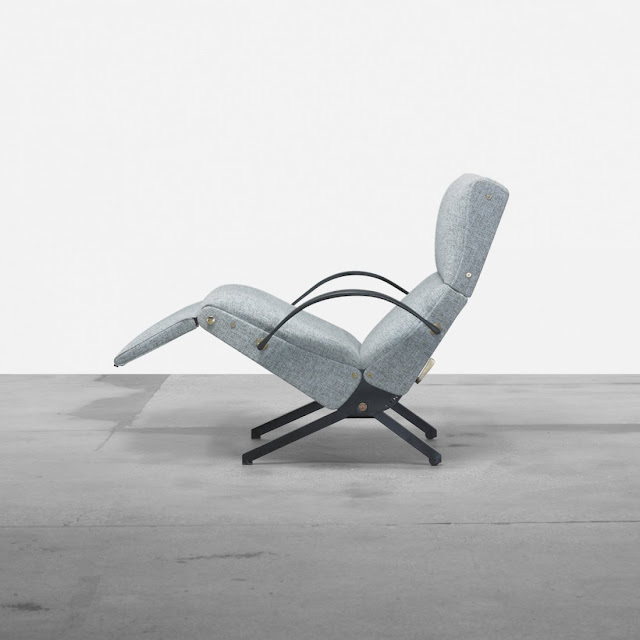 This is the most luxurious classic design chair that was ever made. Authentic P40, designed by Osvaldo Borsani in 1954, manufactured by Tecno Italia. Surprisingly comfortable design classic! The P40 received the Triennale Diploma D'onore, Milan in 1954. Structure: metal structure, black or chrome lacquered base. Upholstery: polyurethane foam with interchangeable upholstery. Prada Robots, Prada Cars, etc! Prada and the Prada Robots! Frank Gehry & Tiffany Co.